Ever since the beginning of the #MeToo movement in 2017, numerous companies have been trying to jump on the wagon and address sexual harassment and/or feminism in their advertising campaigns. It’s no surprise that these companies are getting praised for using the publicity for a good cause. 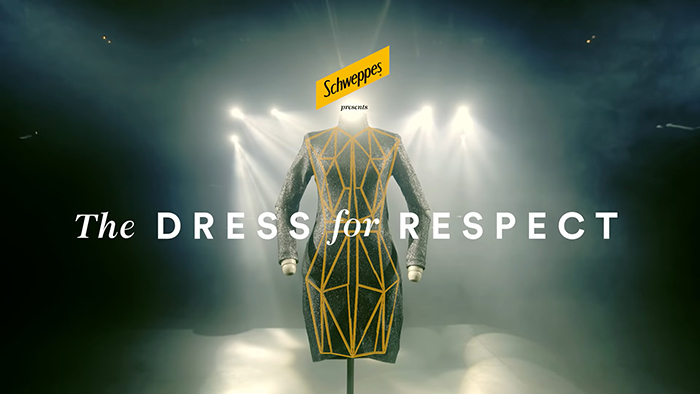 Recently, Swiss beverage company Schweppes teamed up with Brazilian advertisement agency Ogilvy and decided to work on their new campaign called ‘Dress For Respect,’ aimed at shedding light on the sexual harassment of women in Brazil. The smart dress was made to sense and track when and where the person wearing the dress was touched. The campaign was made to shed light on the serious issue of sexual harassment and non-consensual public touching.